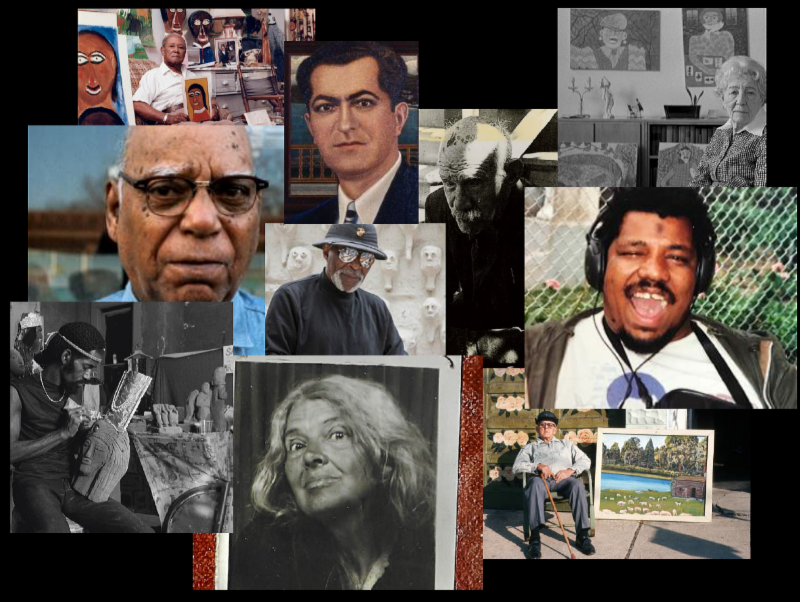 To celebrate the run of its exhibition, Chicago Calling: Art Against the Flow, and to help build an oral history of these remarkable visionaries, Intuit is thrilled to host Chicago Calling: A Live Storytelling Event! This public program invites you, the community, to share your first-hand stories, memorable experiences or favorite interactions with the 10 beloved self-taught artists on view in the exhibition—Henry Darger, William Dawson, Lee Godie, Mr. Imagination, Aldo Piacenza, Pauline Simon, Drossos Skyllas, Dr. Charles Smith, Wesley Willis and Joseph Yoakum. Don’t have a story to share? Join us in the audience! Enjoy learning more about the artists who helped shape the Chicago art scene by hearing from those who knew them.